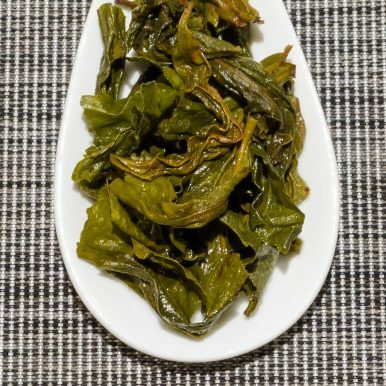 Santikhiri Bai Yai Green is produced from an Assamica varietal native to Thailand. This ‘Bai Yai’ or ‘Large Leaf’ green tea comes from Santikhiri village in the Doi Mae Salong mountain area in the north of the country. 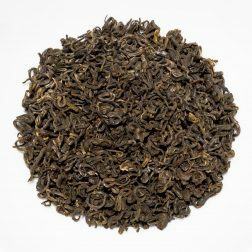 The light liquor has a nutty and sweet aroma, while the taste is clean, with sweet, creamy and nutty flavours. 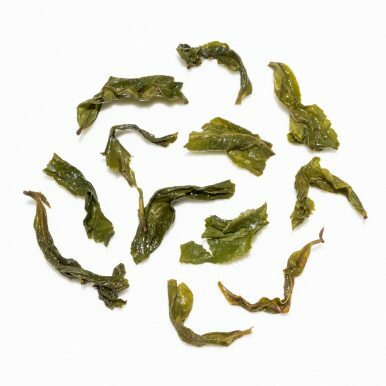 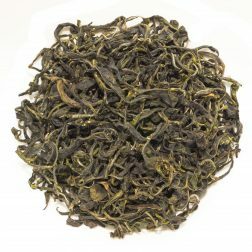 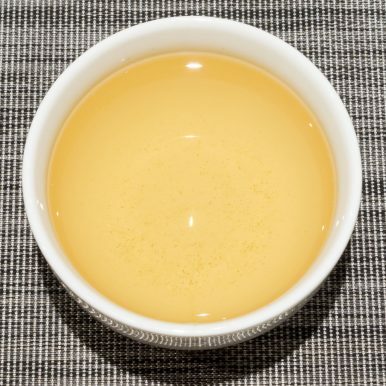 Santikhiri Bai Yai Green is an interesting green tea that is produced from Camellia sinensis var. 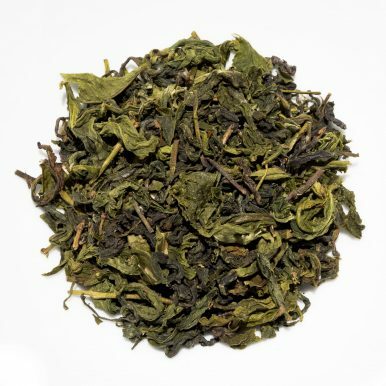 assamica, although this particular strain is native to northern Thailand. 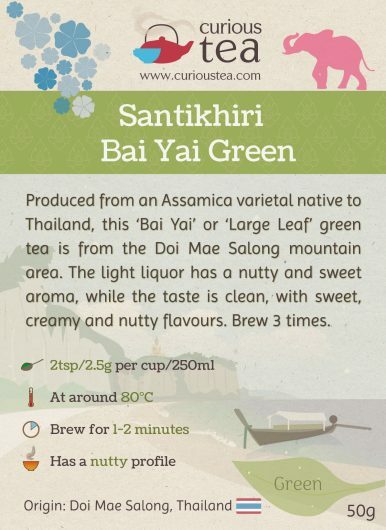 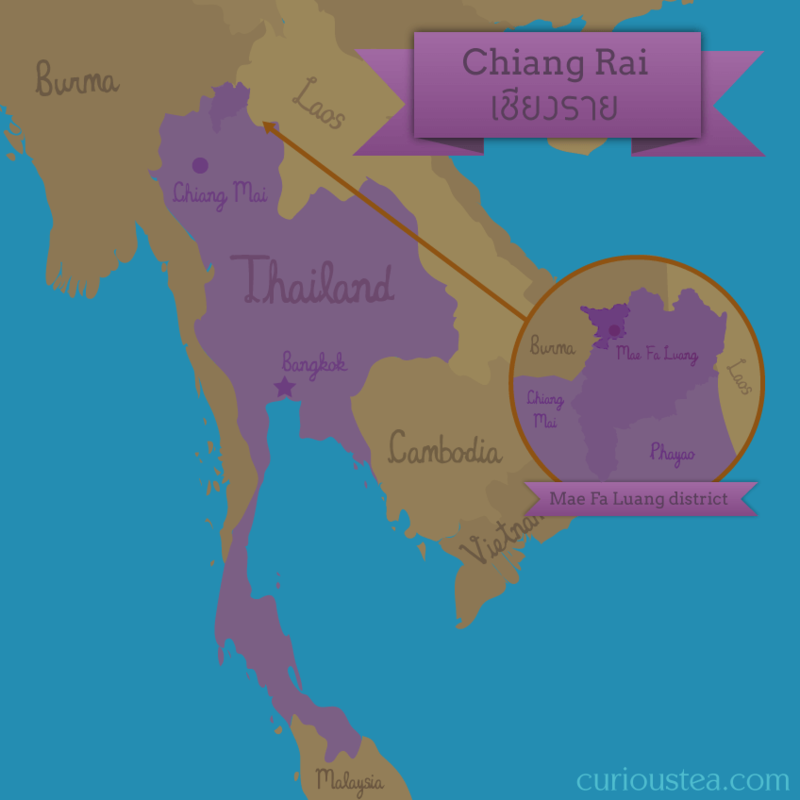 This tea comes from around Santikhiri village (formerly Mae Salong) that is located around the highlands of Doi Mae Salong mountain close to the borders with Burma and Laos. 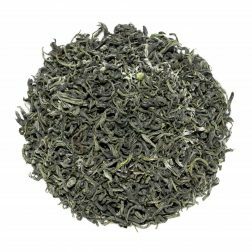 Santikhiri Bai Yai Green tea is grown at an altitude of around 1,200-1,600 metres and was plucked in August 2016. 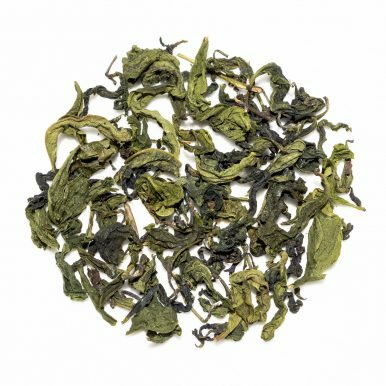 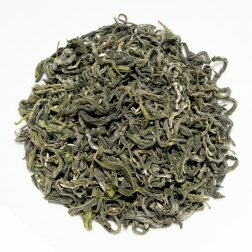 This Santikhiri Bai Yai Green tea was first featured in our February 2017 Curious Tea Subscription Boxes.